Where did Spring go? It would seem that summer is almost upon us. With Memorial Day just around the corner we’ve begun our foray into the Summer movie season! What better way to start out the summer season than with a movie about the ocean? That’s right, we’re talking about Adrift. Not only do we have a recipe inspired by the film, we are giving about 6 pairs of VIP Screening Passes! The inspiration for our Seafarer’s Snack Mix came from a few places. The first was the fact that we wanted to create a recipe that you might bring with you on a long sea trip. Who doesn’t love snacks after all? Next, we wanted most of the ingredients to resemble things one might find on a boat or in the ocean. 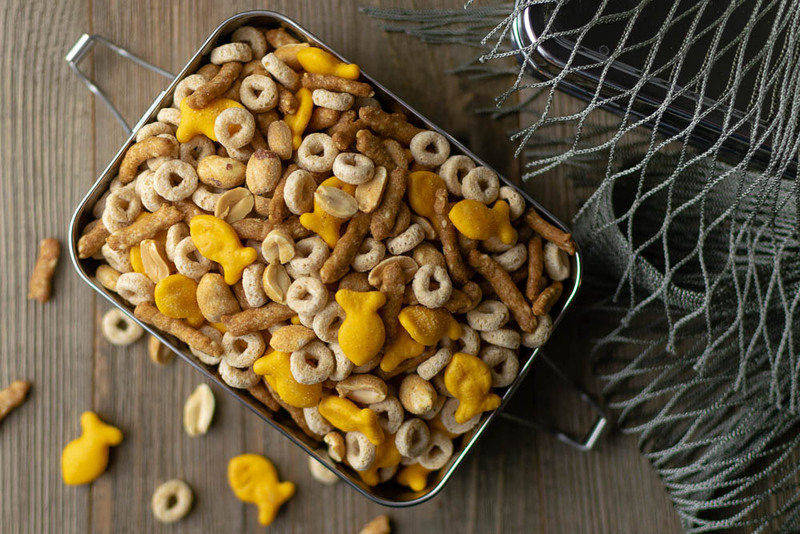 For example, the Goldfish represent fish from the sea, the sesame sticks resemble driftwood, and the Cheerios are the life saver floaties. 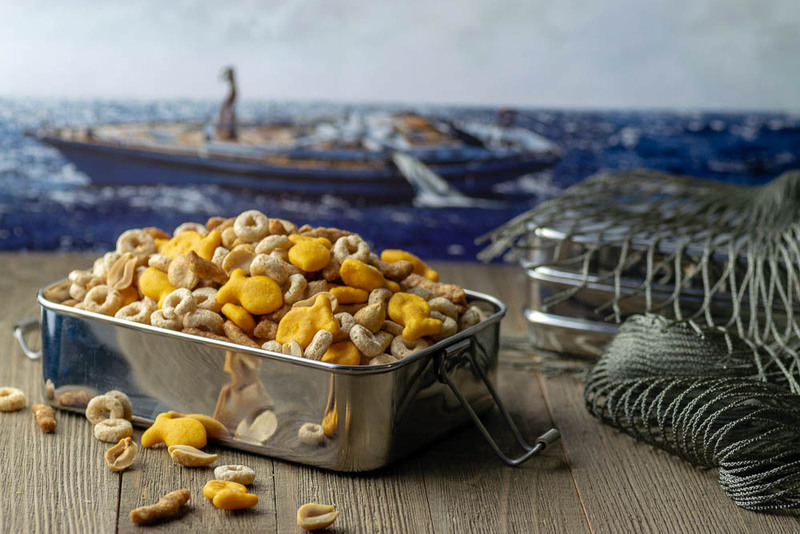 We hope you’ve enjoyed our Seafarer’s Snack Mix! We are giving away 6 pairs of screening tickets for a sneak preview of Adrift! The screening will be held at Harkins Tempe Marketplace on Tuesday, May 29th. The screening starts at 7 pm and the winners should arrive at 6:15 in order to guarantee their seating. Winners will be selected on Sunday, May 27th. Good luck!